Christmas Tree Light Up 1.1.0 is puzzle & word games software developed by Novel Games Limited. This games & entertainment program is freeware, so you can download and use it absolutely free. Christmas Tree Light Up 1.1.0 supports different languages (including English). It works with Windows XP/Vista. Latest Christmas Tree Light Up 1.1.0 does not contain any spyware and/or advertise modules, allowing installing it with no worries concerning valuable information loss. 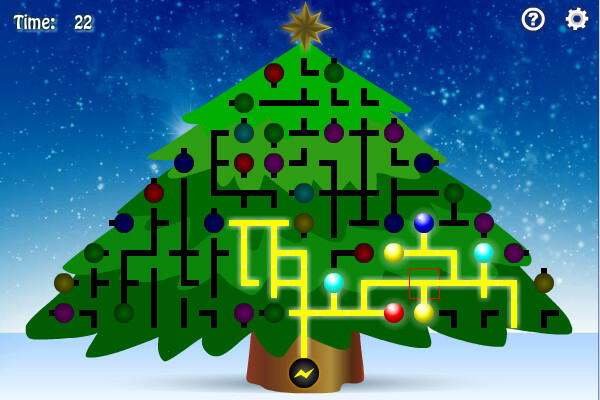 Our website has thoroughly tested games & entertainment product Christmas Tree Light Up 1.1.0, written the review and uploaded installation file (339K) to our fast server. Downloading Christmas Tree Light Up 1.1.0 will take several seconds if you use fast ADSL connection. TreetopLights is an AppleScript Studio application that places a Christmas tree on the desktop and holiday lights on the menubar or screen edges. Inspired by Tiger Technologies's Holiday Lights, MacLampsX allows you to decorate for Christmas, or any other holiday with user-creatable bulbs, as well as a small set of defaults.